TimesPoints is back with a brilliant offer under its loyalty program. Just Sign up and Complete your profile to get 120 Points which can be redeemed against numerous offers like Free OYO Rooms flat 55% off voucher, free Rs 1000 Paytm Cashback Code on Flight Bookings or Rs 100 cashback on movie tickets and many more. 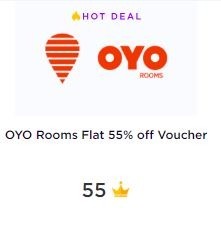 How to Get Free OYO Rooms flat 55% off voucher? And the offers can’t get any better. Gonna travel soon? Want a good place to stay at really low price? OYO never disappoints. If your room costs more than Rs 1200, you can get flat Rs 1000 off on hotel booking at just Rs 3. So, what are you waiting for? Book now. How to Get flat Rs 1000 off on hotel booking at just Rs 3? 1. First of all, visit Paytm Offer Page. WOW! OYO Rooms has come up with another brilliant offer. Now, forget worries of staying in other cities. Get flat 60% discount on hotel room bookings on OYO. Book your rooms on India’s No.1 hotel booking platform today at unbelievable prices. How to Get flat 60% discount on hotel room bookings? 1. First of all, download OYO Rooms or visit OYO. Let us get you rolling for your December bookings. 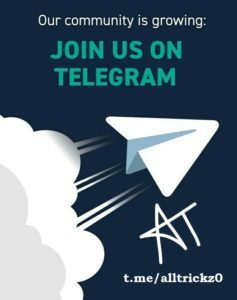 Have a SBI Credit Card? Now, you can get flat 55% off on room bookings with SBI Credit Card on your favorite OYO Rooms. Book now and save more. How to Get flat 55% off on room bookings with SBI Credit Card? Give your pocket a little relief on your next trip only with OYO Rooms. Get flat 60% off on rooms with minimum booking of Rs 500. How to Get flat 60% off on rooms with minimum booking of Rs 500? 1. First of all, go to Oyo Rooms or download Oyo App – Android | IOS. Travelling? We have a good news for you. Oyo and PhonePe has come into partnership to offer great discounts on your room booking. Get flat 60% off on rooms with no minimum booking through PhonePe. How to Get flat 60% off on rooms with no minimum booking through PhonePe? 1. First of all, Download PhonePe.